“High art” redirects here. For the film, see High Art. High culture encompasses the cultural objects of aesthetic value, which a society collectively esteem as exemplary art. 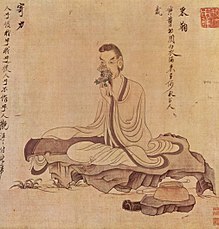 It may also include intellectual works considered to be of supreme philosophical, historical, or literary value, as well as the education which cultivates such aesthetic and intellectual pursuits. In popular usage, the term high culture identifies the culture of an upper class (an aristocracy) or of a status class (the intelligentsia); and also identifies a society’s common repository of broad-range knowledge and tradition (e.g. folk culture) that transcends the social-class system of the society. Sociologically, the term high culture is contrasted with the term low culture, the forms of popular culture characteristic of the less-educated social classes, such as the barbarians, the Philistines, and hoi polloi (the masses). In European history, high culture was understood as a cultural concept common to the humanities, until the mid-19th century, when Matthew Arnold introduced the term high culture in the book Culture and Anarchy (1869). The Preface defines culture as “the disinterested endeavour after man’s perfection” pursued, obtained, and achieved by effort to “know the best that has been said and thought in the world”. Such a literary definition of high culture also includes philosophy. Moreover, the philosophy of aesthetics proposed in high culture is a force for moral and political good. Critically, the term “high culture” is contrasted with the terms “popular culture” and “mass culture“. Media theorist Steven Johnson writes that, unlike popular culture, “the classics—and soon to be classics—are” in their own right descriptions and explanations of the cultural systems that produced them.” He says that “a crucial way in which mass culture differs from high art” is that individual works of mass culture are less interesting than the broader cultural trends which produced them. The high culture of the West originated in the classical-world traditions of intellectual and aesthetic life in Ancient Greece (from c. 8th century BC – AD 147) and Ancient Rome (753 BC – AD 476). In the classical Greco-Roman tradition, the ideal mode of language was published and preserved in works of elevated style (correct grammar, syntax, and diction). Certain forms of language used by authors in valorized epochs were held up in antiquity and the Renaissance as eternal valid models and normative standards of excellence; e.g. the Attic dialect of ancient Greek spoken and written by the playwrights and philosophers of Periclean Athens (fifth century BC); and the form of classical Latin used in the “Golden Age” of Roman culture (c. 70 B.C. – AD 18) represented by such figures as Cicero and Virgil.This form of education was known to the Greeks as παιδεία, which was translated by the Romans into Latin as humanitas  since it reflected a form of education aiming at the refinement of human nature, rather than the acquisition of technical or vocational skills. Indeed, the Greco-Roman world tended to see such manual, commercial, and technical labor as subordinate to purely intellectual activities. From the idea of the “free” man with sufficient leisure to pursue such intellectual and aesthetic refinement, arose the classical distinction between the “liberal” arts which are intellectual and done for their own sake, as against the “servile”or “mechanical” arts which were associated with manual labor and done to earn a living. This implied an association between high culture and the upper classes whose inherited wealth provided such time for intellectual cultivation. The leisured gentleman not weighed down by the necessity of earning a living, was free to devote himself to activities proper to such a “free man” – those deemed to involve true excellence and nobility as opposed to mere utility. The evolution of the concept of high culture initially was defined in educational terms largely as critical study and knowledge of the Græco–Roman arts and humanities which furnished much of the foundation for European cultures and societies. However, aristocratic patronage through most of the modern era was also pivotal to the support and creation of new works of high culture across the range of arts, music, and literature. The subsequent prodigious development of the modern European languages and cultures meant that the modern definition of the term “high culture” embraces not only Greek and Latin texts, but a much broader canon of select literary, philosophical, historical, and scientific books in both ancient and modern languages. Of comparable importance are those works of art and music considered to be of the highest excellence and broadest influence (e.g. the Parthenon, the painting and sculpture of Michelangelo, the music of J. S. Bach, etc). Together these texts and art works constitute the exemplary artifacts representing the high culture of the Western world. Much of high culture consists of the appreciation of what is sometimes called “high art”. This term is rather broader than Arnold’s definition and besides literature includes music, visual arts (especially painting), and traditional forms of the performing arts (including some cinema). The decorative arts would not generally be considered high art. Art music (or serious music or erudite music) is an umbrella term used to refer to musical traditions implying advanced structural and theoretical considerations and a written musical tradition. The notion of art music is a frequent and well-defined musicological distinction – musicologist Philip Tagg, for example, refers to art music as one of an “axiomatic triangle consisting of ‘folk’, ‘art’ and ‘popular’ musics”. He explains that each of these three is distinguishable from the others according to certain criteria, with high cultural music often performed to an audience whilst folk music would traditionally be more participatory. In this regard, “art music” frequently occurs as a contrasting term to “popular music” and to “traditional” or “folk music”. 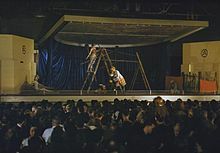 Dancers from the Ballet Rambert, under the auspices of CEMA, a government programme, perform Peter and The Wolf at an aircraft factory in the English Midlands during World War II. The relations between high culture and mass culture are concerns of cultural studies, media studies, and critical theory, sociology, Postmodernism and Marxist philosophy. In the essay “The Work of Art in the Age of Mechanical Reproduction” (1936), Walter Benjamin explored the relations of value of the arts (high and mass) when subjected to industrial reproduction. The critical theoreticians Theodor W. Adorno and Antonio Gramsci interpreted the high-art and mass-art cultural relations as an instrument of social control, with which the ruling class maintain their cultural hegemony upon society. For the Orientalist Ernest Renan and for the rationalist philosopher Ernest Gellner, high culture was conceptually integral to the politics and ideology of nationalism, as a requisite part of a healthy national identity. Gellner expanded the conceptual scope of the phrase in Nations and Nationalism (1983) stating that high art is “a literate, codified culture, which permits context-free communication” among cultures. In Distinction: A Social Critique of the Judgement of Taste (1979), the sociologist Pierre Bourdieu proposed that æsthetic taste (cultural judgement) is in large part derived from social class. Social class establishes the definitions of high art, e.g. in social etiquette, gastronomy, oenology, military service. In such activities of aesthetic judgement, the ruling-class person uses social codes unknown to middle-class and lower-class persons in the pursuit and practice of activities of taste. ^ Williams, Raymond. Keywords: A Vocabulary of Culture and Society (1983) Rev. Ed. p. 92. ^ The Encyclopedia of Philosophy (1967) Volume 1. p. 167. ^ Steven Johnson (6 April 2006). Everything Bad is Good for You: How Popular Culture is Making Us Smarter. Penguin Books Limited. p. 203. ISBN 978-0-14-193312-2. ^ “Jacques Maritain Center: Art and Scholasticism 4”. maritain.nd.edu. ^ Seneca. “Moral letters to Lucilius” – via Wikisource. Philip Tagg, “Analysing Popular Music: Theory, Method and Practice”, Popular Music 2 (1982): 41. ^ Philip Tagg, “Analysing Popular Music: Theory, Method and Practice”, Popular Music 2 (1982): 37–67, here 41–42. ^ Art film definition – Dictionary – MSN Encarta. Archived from the original on 2009-10-31. ^ Barbara Wilinsky. Sure Seaters: The Emergence of Art House Cinema at Google Books. University of Minnesota, 2001 (Commerce and Mass Culture Series). See also review in 32&pg=PA171&dq=%22canon+of+films+and+those+formal+qualities+that+mark+them+as+different+from+mainstream+Hollywood+films%22 High culture, p. 171, at Google Books, Journal of Popular Film & Television, 2004. Retrieved 2012-01-09. ^ McGregor, Craig (1997). Class in Australia (1 ed.). Ringwood, Victoria: Penguin Books Australia Ltd. p. 301. ISBN 978-0-14-008227-2. Élite culture is often an instrument of social control. . . .